If you're looking for a trustworthy, quality, reliable cleaning service in the Auckland area then you've taken the first steps by requesting your FREE Healthy Home Action Plan. The process of finding a solution to many people's home cleaning needs is a difficult one. But when it comes to giving access to someone to clean inside your home, it's a decision that shouldn't be taken lightly. There's a certain criteria that you should assess each potential option by. If all you want is a cheap, "clean what you can see" type of service, then we respectfully ask you to consider another service provider. But if you want a high quality clean by a honest, trustworthy company - if you want to actively improve the indoor air quality of your home to protect your family from dust, bacteria, allergens, animal dander and fur, and pollen, then you'll definitely want to call us. Here's 7 reasons why hundreds of people are raving about using Life Maid Easy to get back their quality time, have all of their housework taken care of, and spend time doing the things THEY enjoy! We understand that one of the biggest concerns around hiring a maid is you don’t know who will be entering your home. After all, your home is your everything. It’s a place you feel safe, secure, and somewhere where you can be yourself. That's why we've put together a comprehensive recruitment process in place to make sure only the best of the best join our team at Life Maid Easy. In fact, only 1 out of 27 people who apply, actually qualify to be part of our team. Once this is completed and our applicants pass each area, they enter our prestigious Life Maid Easy University (which we believe to be the finest cleaning university in the Southern Hemisphere). The quality of air we breathe continues to deteriorate. Being proactive in trying to improve the indoor air quality inside your home is vital. Especially in the colder months, homes remain closed up to keep the heat in. Any air that gets in – good or bad, has difficulty getting out. This makes it even more important to practice safe housekeeping practices. 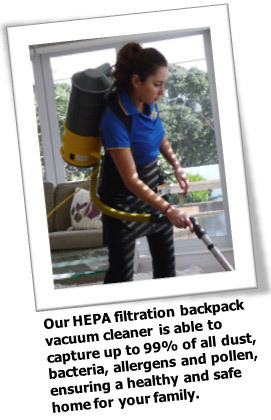 Our HEPA filtration backpack vacuum system is a key benefit to asthma and allergy sufferers as the filter traps the fine particles (such as pollen and dust mite feces) which can trigger allergy and asthma symptoms. With our HEPA filtration backpack vacuum system we are able to capture up to 99% of all dust, bacteria, animal dander and fur, allergens and pollen. This will ensure your home is kept healthy and safe for all of your family. Indoor air quality is something we take pride in. We are aware of New Zealand’s high ranking for asthma sufferers. Our HEPA filtration system, green cleaning products and 97 point deep cleaning system are just a few ways we work to ensure the air you breathe is cleaner and better for your health. 3. A Customised Cleaning Plan For Your Home. You'll receive a cleaning plan completely customised to work for the situation you find yourself in. Some of our happy customers actually enjoy doing the cleaning, but ask for our help in a few specific areas like vacuuming and the toilets. At the end of the day, it’s your home, so we’ll always clean it just how you like it. Your Healthy Home Action Plan really helps with designing a cleaning programme that works for your specific preferences. Whether you need our services on a twice weekly, weekly or fortnightly basis, or your children have allergies, or you have numerous animals in your home, Life Maid Easy has options that will meet your needs. Our 97 point deep cleaning system was created to ensure your home is cleaned to the exact same high standard each and every time, while also providing you and your family with a clean, healthy living environment. The system is based on 97 key points we’ve identified in each and every home, and helps eliminate any risk of cross contamination and back tracking which increases productivity and efficiency. When our system is combined with our environmentally friendly cleaning products, HEPA filtration back pack vacuum and 5 star trained housekeepers, the result is a cleaner and more healthier home than you could ever imagine. We treat you and your home with complete respect. If something does unexpectedly break, we do our best to either repair or replace that item. All of our team are fully insured, so claims are filed when appropriate. You can rest assured knowing that each and every service is completely covered by our Diamond Standard Satisfaction Guarantee. This means if you're not completely happy with any part of our service, you can let us know and we'll put it right within 24 hours at no extra cost to you. If we can't achieve that within 24 hours, then you won't pay anything for the service. And finally, the number one reason our customers use our services is to improve their 'quality of life'. For us, ‘quality of life’, means being able to do what you want, when you want, with whom you want. 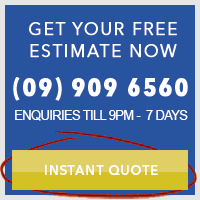 We will take care of your household tasks, which in turn will give you back 2 - 5 quality hours of your week. You can now use that time to catch up with family and friends, play sport, enjoy yourself or go to the movies. Or if that’s not your thing, simply put your feet up and relax. knowing that all your household tasks of cleaning, washing, mopping, even getting the dry cleaning or walking your dog, are taken care of by someone you can trust. So what's the next steps from here? Jessica (in-home services guru) will come to your home and carry out a 97 point healthy home check where you'll get to see the key health risks in your home, and which areas need the most attention of our cleaners. You’ll then develop a customised solution with Jessica, where you’ll decide which rooms need the most attention, how often you’d like your home cleaned and any other preferences you may have. You’ll also have the chance to ask Jessica any questions you may have about Life Maid Easy. At the end of your time with Jessica, she will then provide you with a detailed quote based on what you’ve developed together. From there you can make the decision to take advantage of the services of Life Maid Easy. If it's not for you, that's fine with us as well. We just ask out of respect for our time that you let us know of your choice. Either way, you're going to leave with a crystal clear idea on how clean your home really is, and a cleaning plan going forward.